With a career spanning over 30 years, Michelle Grabner has dedicated herself to identifying, indexing, and transposing patterns. 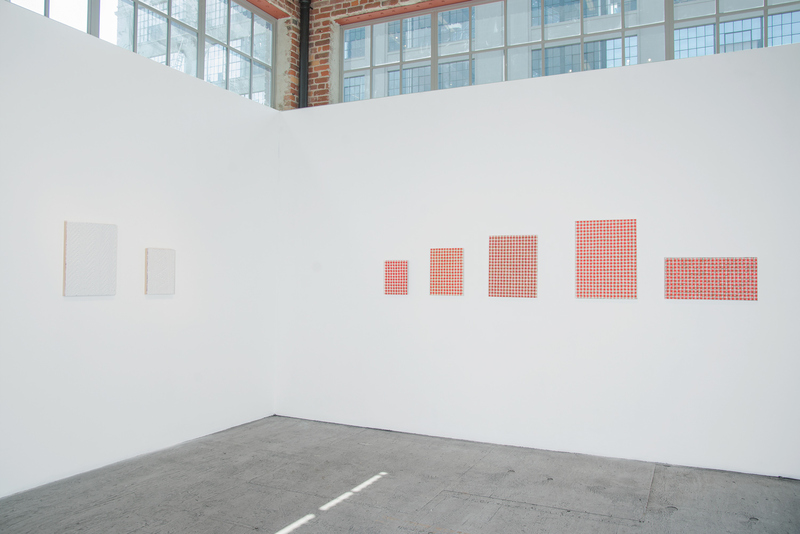 Grabner Gingham is comprised of a series of large-scale oil on burlap paintings. 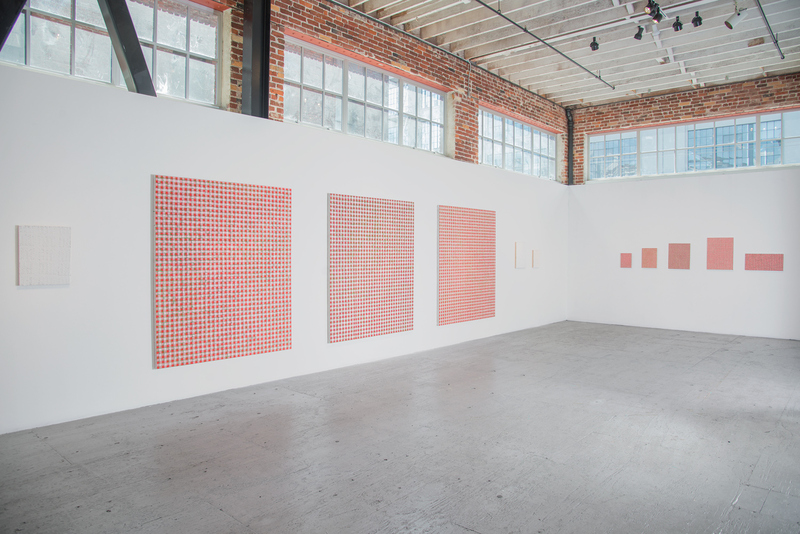 After a decade-long hiatus, the artist is discovering a new relationship to the gingham pattern outside the realm of domesticity. 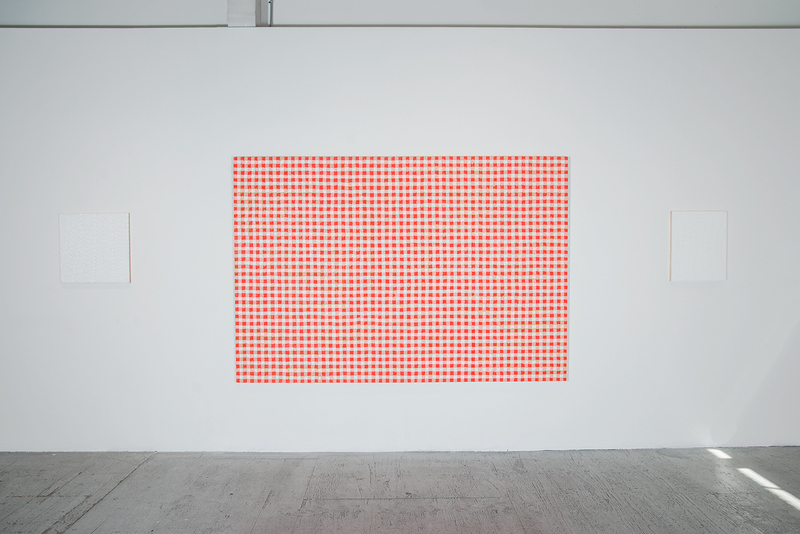 “The gingham paintings are a head on embrace of the cliché, the big, beautiful, and all too general idea that [the pattern] is both overused yet sturdy in its unfailing predictability," Grabner explains in an interview with ART21. Another significant variation in this series, Grabner chose to work in oil paints. The departure from water-based paints in many ways mirror the shift away from domesticity. “My painting then was comprised of re-articulating the backdrops to my modest household. They no longer reflect the reality of our household economy or my daily relationship to little children.” The paintings’ loose, dynamic brushwork, vivid color, and texture invigorate the simple grid pattern. Unlike the crisp, almost flat quality of much of her previous work, this series has a messy liveliness and the textured burlap ground pivots to the warmth and ease of this textile. 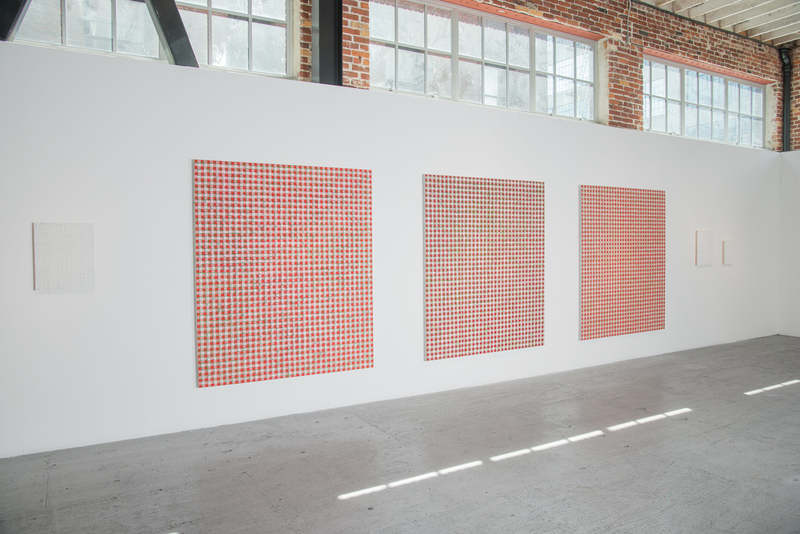 “My plan is to grow these physical fields of pattern into monumentalized paintings,” says Grabner. 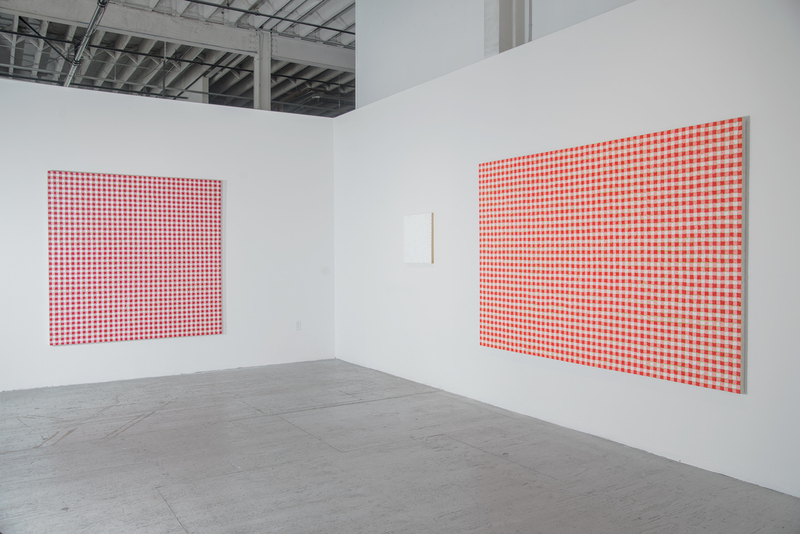 “At such a scale, the gingham fields will continue to evoke an American domestic nostalgia but they will also speak to the authority of painting.” With some canvases measuring nearly 100 inches tall, these gingham paintings usurp the viewer’s periphery. Grabner’s curatorial practice, much like her studio work, aims to shift focus away from popularized notions of contemporary art authorship, evidenced in her efforts with the 2014 Whitney Biennial, the Portland2016 Biennial, and now the upcoming Cleveland Triennial in 2018. As a tenured professor at the Art Institute of Chicago, a seasoned curator, and a frequent contributor to Artforum and other publications, Grabner’s relationship to studio work is enriched by her participation in these many dimensions of the art world.